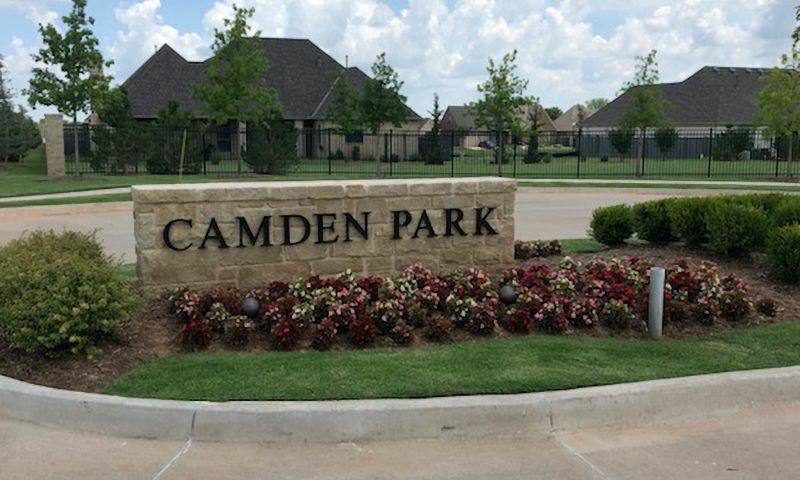 Located in Edmond, Oklahoma, Camden Park is a low-maintenance community that will have 119 French-inspired villas. Offering ten distinct floor plans, homes range from 2,070 to 2,760 square feet with two or three bedrooms, two-to-three bathrooms, and an attached garage for two-to-three cars. Camden Park offers an assortment of amenities which homebuyers will enjoy. Central to the community is the clubhouse, which includes meeting spaces, a full catering kitchen, and a clubroom featuring a fireplace. For staying in shape, a private fitness center provides modern workout machines that will ensure each resident has the tools they need to keep fit. Outdoors, the resort-style lounge pool and the patio are the perfect places for residents to sit back and enjoy the beautiful Oklahoma weather. Additionally, an outdoor living area, as well as a bar, grill, and fire pit provide further opportunities for socializing with friends and neighbors. Located in the city of Edmond, Camden Park is near an assortment of shops, restaurants, and entertainment options. Whether you're looking for a day of fishing at Arcadia Lake or wanting to brush up on local history at the Edmond Historical Society & Museum, there are plenty of ways to spend your time when living at Camden Park. A great location, strong amenities, and a variety of home designs make Camden Park a worthwhile community to explore. Check back soon for more information on the lifestyle in Camden Park. 55places.com is not affiliated with the developer(s) or homeowners association of Camden Park. The information you submit is distributed to a 55places.com Partner Agent, who is a licensed real estate agent. The information regarding Camden Park has not been verified or approved by the developer or homeowners association. Please verify all information prior to purchasing. 55places.com is not responsible for any errors regarding the information displayed on this website.